Wow that's a big gap between posts. A combination of not taking photos, can't be bothered writing and thinking there was nothing to report. However now I have so much to update I'll have to do it in more than one post. Lets look at the latest acquisitions. 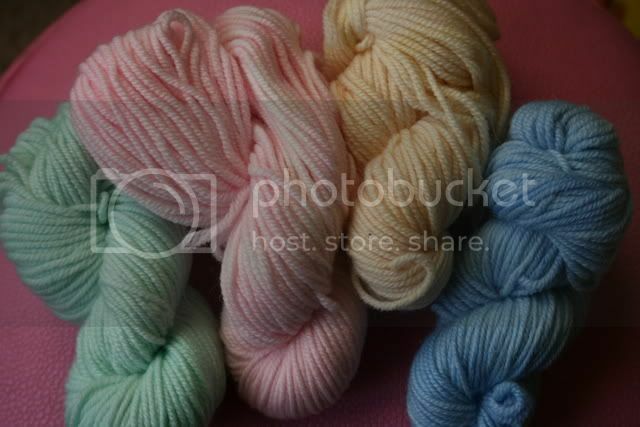 4 mini skeins of merino & alpaca from Hipknits. 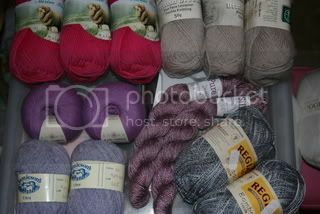 I also got a copy of their new Starstruck Shawl pattern to use up some lace weight silk I have. A prize from the lovely Bronte which I won simply by leaving a message on her blog to commemorate her 'blogiversary'. 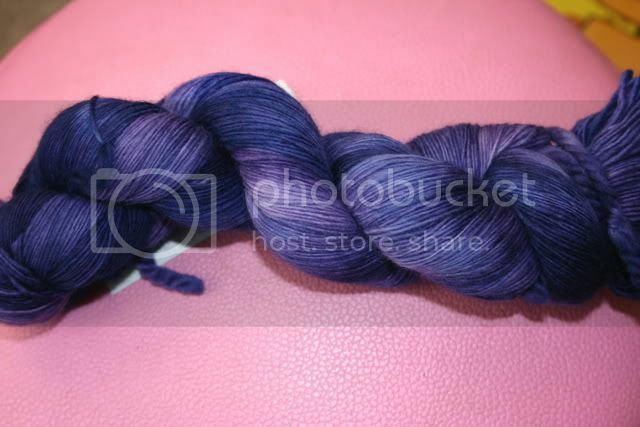 Its Malabrigo Purple Mystery and its even more purple in real life. I love it. I also have 4 (count them) WIPs, which is unheard of. I like to complete something before starting the next project so I'm not quite sure how I got myself in such a state. More details of the 4 (4!!!) in the next post. Beautiful acquisitions. Enjoy using them up.